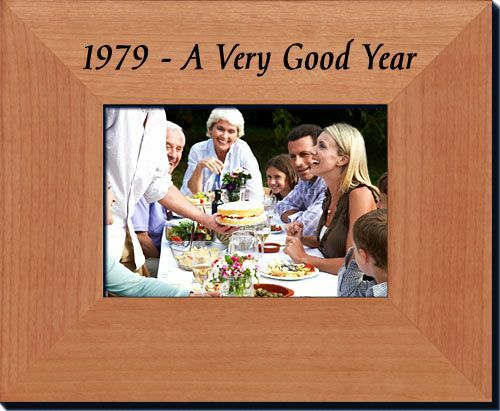 40th Birthday Picture Frame for the Year 1979. For someone born in 1979, this gift is the ultimate idea. Put a picture inside of it showing them as a baby, toddler or when they were on training wheels. You can also insert a current photo inside it if you like, to honor them today. 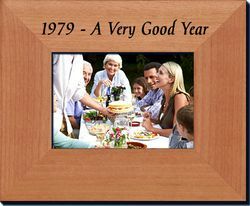 This alderwood frame says "1979 - A Very Good Year" on it, and holds a 3.5" x 5" photo inside the frame. use it for their 40th birthday party, or a "just because" thoughtful present. Please choose another 40th birthday idea.